Random chatter, a somewhat serious discussion on Christian jargon, and talking about books we loved as kids. Yep. Those things all go together. 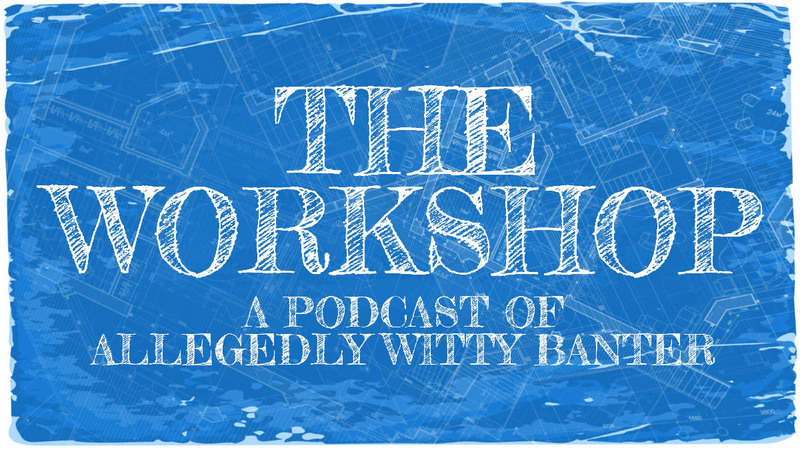 It’s sure is another episode of the Workshop! A new year is upon us and that means it’s time to hand out meaningless accolades to various media properties because making lists is fun! I am quite intentionally calling these “favorite” lists rather than “best of” lists because there’s a lot of games, movies, and music I didn’t experience in 2013 which no doubt deserve attention and praise, but I can’t consume everything in a year. Can I make a confession? I’m terrible at writing about music. I lack the vocabulary, I guess. It seems to me that music is the most subjective of all the popular media and therefore is the most difficult to analyze, critique, and discuss meaningfully with others. Music reviews are a strange thing to me for that reason. All it boils down to is “I like this” or “I don’t like this” without a lot of concrete or consistent reasoning about why that is. But I’m probably wrong about that. As I said, I lack the vocabulary. Nevertheless, here’s some music I liked. Maybe you’ll like some of it too.